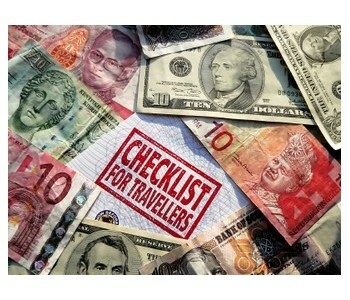 "A Travel Budget Planner with useful Budget Advice"
How much money will a backpacking trip cost me? This highly depends on how long you're going to travel, and what kind of vacation you want to have. Do you want to live on rock-buttom budget, mid-range or a mix of it? It's cheap in Asia, especially in India and Laos. The prices have gone a little higher though since the financial crisis in 2008, but it's still cheap to stay there. In my opinion if you're not one of those who is losing their job and actually lives the same life as before the crisis, it's still important to travel and use money. As you've probably heard, this makes the money flow in society. Countries like Thailand have tourism as their livelihood, and is dependent on backpackers and tourists. Either you're studying and considering a sabbath year, or you're in a career -- find out how long you can be away from work or studies. It's better to have more than enough cash on a shorter trip, than being on a survival level on a longer trip. Even though it's cheap in Asia, there are strong variations in prices -- it can be more "expensive" on Ko Phi Phi island than in Chang Mai Thailand. And if you're going to Angkor Cambodia, you'll have to expect to pay around $35 for a day-trip (included one-day pass). Save up more than enough money. There wil be unexpected expenses, and you have to be able to handle this. My main rule is to save an amount that equals 1/3 of your travel budget, and put this in a separate account. If you get tired of staying at hostels and guest houses during your trip, that's normal. You can spend a few nights at a hotel or a resort, but the luxury will of course cost you extra money. Even though you've planned to stay on low-priced guest houses the entire trip, the chances of changing your mind during your vacation are big. Example: You think you can survive without air-conditioner pre-departure. But when you've been hit by the hot climate in Cambodia, the chances of altering your plans are huge. A room with air-conditioner cost more than without...! You should have money left when returning home. You'll need the time to relax, and not go straight to work right away. Let's face it. You can never know exactly how much you're going to spend. I can't think of any backpacker who has used the budget they planned from the start. But I will still give you examples of how much it will cost you. Don't forget that your budget highly depends on how much beers, shopping and activities you're planning on! The AVERAGE prices listed below are for the high season. It's even cheaper during the low season. If you're traveling during the low season, cut the prices for accommodation with 30-50%. Also have in mind that the quoted prices below are for per room/bed/taxi/tuk-tuk. So if you're three people sharing a room/taxi, divide the quoted prices below in three. The price for food is for one person, and covers three meals. Internet surfing: 100-200 Kip per minute (Luang Prabang), 1000 Kip per minute (Don Det). Here are some average prices for Malaysia! You're done with the last part of this theme Getting started backpacking 4! You're done with Getting started backpacking 4, where do you want to go next? 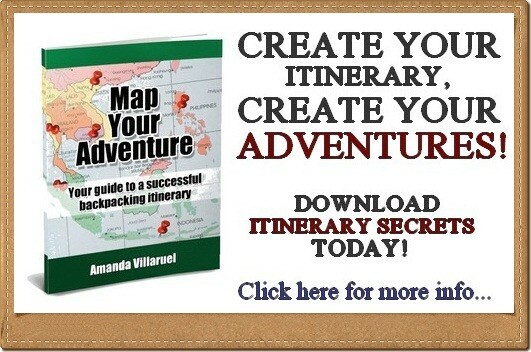 Check out my backpacking checklist! Leave Getting Started Backpacking 4 and Return to Backpacking Tips Asia Homepage. Feedback, say hello or want to add a correction to Getting started backpacking 4? Do it here! 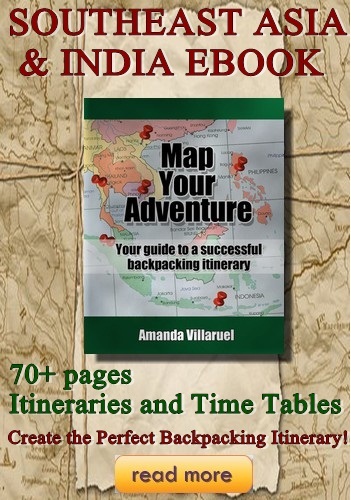 Need help on how to get started with your backpacking trip? Get a *FREE* e-book right here, along with a FREE monthly newsletter! 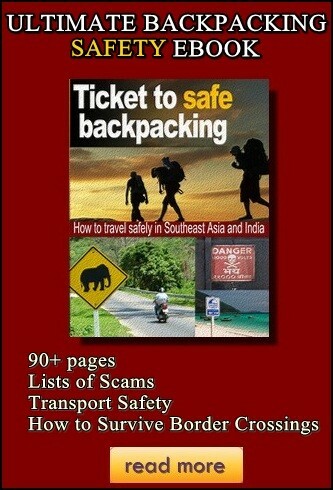 I promise to use it only to send you Backpacking Tips Asia News. 1. Southeast Asia + India Itineraries 2. Backpacking safely & avoiding scams 3. Southeast Asia Itineraries 4. 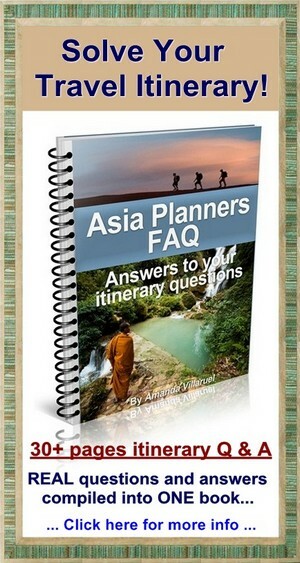 Asia Planners FAQ NEW! *FREE* Newsletter & Ebook *Freebies* *Free Stuff* *Photo Contest* Pictures of Asia NEW! Free Announcements of Festivals and Events Follow the Backpacker Amanda's Private Corner Travel Coupons Hostelbookers vs Hostelworld Best Angkor Tours Best Northern Thailand Tours Backpacking book SHOP NEW! Hong Kong Tours in Hong Kong NEW! Copyright© 2008-2012 Backpacking-Tips-Asia.com ALL RIGHTS RESERVED.